Welcome to the Polk State College emergency medical services (EMS) program. 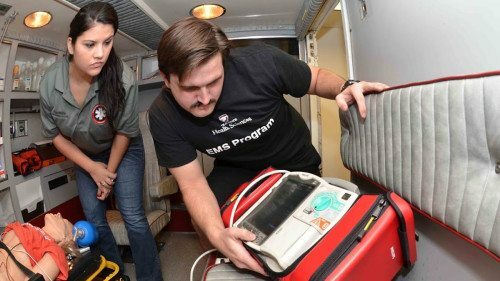 The intent of the EMS program is to ensure that its participants receive adequate training and instruction to begin an enjoyable career in the out-of-hospital emergency medicine field. This fast-paced environment offers career opportunities for many different types of health care providers. 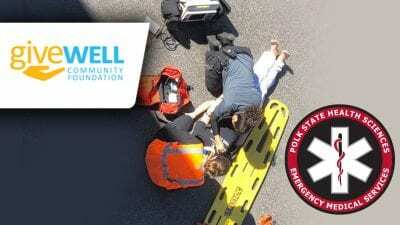 The emergency medical responder (EMR) is a first-tier EMS care provider that provides initial, hands-on emergency care until the next level of EMS provider arrives on the scene. EMR students are trained in all facets of cardiopulmonary resuscitation (CPR), according to the most current guidelines from the American Heart Association, as well as various other basic life support (BLS) measures. The emergency medical technician (EMT) is the second-tier care provider on the EMS career ladder. EMT students learn additional BLS measures, including patient assessment, oxygen therapy, shock management, spinal immobilization, vehicle extrication and medication administration/assistance. Since EMTs often work alongside paramedics, advanced life support measures and the means by which an EMT can assist are also discussed. Paramedics are the third-tier care providers on the EMS career ladder. A paramedic arrives at the emergency scene in an advanced life support ambulance and assumes patient care duties from the EMT and/or EMR. Paramedics function as leaders of the out-of-hospital team by coordinating care provided by EMRs and EMTs. Paramedics are trained in advanced life support measures such as venipuncture, intravenous therapy, endotracheal intubation, medication administration, EKG interpretation, electrical therapy and defibrillation. The EMS degree program is designed as an option for anyone seeking a career in the EMS, fire and/or public safety arenas. Even though a career in this field can be obtained via certificate programs, future promotion in these fields requires an AS degree. 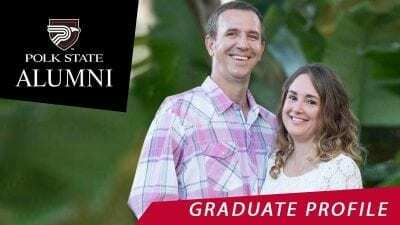 Polk State’s AS degree in EMS requires successful completion of the emergency medical responder, emergency medical technology and paramedic certificate programs, in addition to general education requirements. Employment for those trained in the EMS career tiers is available in both the public and private sectors, including fire departments, non-emergency patient transportation companies, ambulance services, hospital emergency departments, industrial health and safety organizations, and various other public safety related companies or agencies. Typically, EMS professionals who have attained an AS degree are promoted to work in educational, administrative or advanced clinical settings. In order to apply for graduation, participants must complete the emergency medical technology, A.T.D. (program # B8130) and paramedic certificate programs (program # 68160). Each of these certificate programs has individual entrance requirements. Students are advised to review the course catalogue for specific prerequisite information. Additionally, since the paramedic certificate program is limited admission, prospective students should also review the admission procedures and information, located on the paramedic program page. Salary varies based on certification tier attained, amount of experience and other job-related qualifications. Salaries typically range from $25,000 – $48,000 annually. The approximate cost to complete the degree program is $8,700. This includes course fees, lab fees, books, uniforms and other estimated costs.